This entry was posted in Substance Abuse and tagged Adolescents, Preventing Misuse, Signs and Symptoms, Support on July 28, 2016 by Baxter Ekern. Contributed by Burkwood Treatment Center clinical content team member Kathryn Taylor, MA, LPC/MHSP. Drug abuse prevention efforts during the early years of a person’s life can improve the young one’s ability to remain drug-free through adolescence and into adulthood. During the formative years of childhood and adolescence, the way that the brain grows emotionally and physically can have a large impact on the risk factors of addiction. When pressures arise in adulthood, people will commonly revert to coping mechanisms and behavioral patterns that were instilled at an early age. There are many ways to help a young person develop responses that do not involve substance abuse. 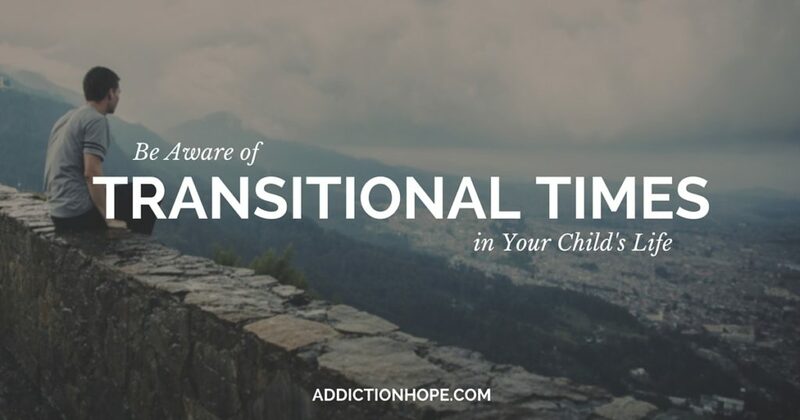 Adults typically experience a higher risk of substance abuse issues at transitional times in life, especially if such transitions are accompanied by stress or emotional trauma. The same is true for younger people. For an adolescent, such transitions might involve moving to a new city or changing schools. Emotional pressures from peers may also play a large part in the lifestyle that a young person will choose. Thus, friends and other adolescents might increase the risk of substance abuse. Pressure to succeed academically or in sports has driven some youths to use drugs in search of performance enhancement. One way to decrease the risk of drug abuse during adolescence is to be alert to these periods of transition and to the risks of drug use that each situation brings. For example, entering high school might mean that drugs are now more available from older teens. Participating in school sports might leave some at risk for prescription painkiller abuse. Each situation will be unique, so alertness and discernment are crucial. Many youth seek thrill from drug abuse. Prevention may involve providing engaging, wholesome activities and associations for a young person. No young person should feel that his or her life will be boring unless he or she gives in to curiosity or pressure to engage in drug abuse. Parents should not believe that experimentation with drug abuse is a normal or unavoidable part of adolescence. Families, communities and schools can work together to develop programs that have been proven to reduce risk factors of drug involvement in children and adolescents. These principles can be applied to programs that are designed for a variety of young people, including those that focus on youth in general, adolescents and children with high risk of abuse, or those who have already begun to engage in substance abuse. A young person who is taught to perceive drug abuse as dangerous and undesirable may be less likely to succumb to addiction. Those who are raised in a culture of acceptance and tolerance for substance abuse may be more likely to experiment. Obviously, examples speak louder than words in this regard. Also worth keeping your eye on is the fact some adolescents and teenagers are inclined to believe that recreationally using the same medications that their parents use for legitimate health issues is not so bad. All youth must be taught that it is never acceptable to use prescription medications that have been prescribed to another person. He or she has the right and responsibility to refuse drugs. Patiently searching for a few positive friends is better than going with the crowd. Seeking mature counsel for emotional issues is a vital part of growing up well. Honest communication with a trusted adult is a prevention tactic. Planning an “escape route” from a social function that may involve drug use is a good strategy. Helping a young person that you care about navigate a drug-free road to adulthood is a valuable effort. It’s never too early, or too late, to start! What types of activities have you and your family enjoyed that keep the teens in your home active? Please share in the comment section below. “Research-Based Methods For Preventing Drug Abuse Among Children And Adolescents” was written by Burkwood Treatment Center (Hudson, Wisconsin) clinical content team member Kathryn Taylor, MA, LPC/MHSP. A licensed mental health counselor, Kathryn has several years of experience working in dual diagnosis addiction treatment, women’s issues and trauma treatment. : ERIC – Preventing Drug Use among Children and Adolescents: A Research-Based Guide for Parents, Educators, and Community Leaders. Second Edition, National Institute on Drug Abuse (NIDA), 2003-Oct. (n.d.). http://eric.ed.gov/?id=ED521530.